It’s time to look at my next journey into the NES ONLINE collection. This time Kid Icarus was my next conquest and it’s definitely one of those games that is reasonably fun but held back by a lot of dated mechanics. Fortunately the save states do help make up for these aspects. The basic plot is that Pit has to stop the ultimate evil known as Medusa from destroying his world. Lady Palutena has gifted him with many skills and now it’s up to him to put them to use. The gameplay is pretty basic as you jump from platform to platform as you deal with monsters by shooting your arrows. You can shoot your arrows in a straight line facing forward or up. Typically the levels will ask you to either climb very high or go all the way to the right. Each world has 4 levels and there are 3 full worlds with 1 final level. The 4th level in each world is the boss level which also serves as a huge maze. The normal levels are pretty fun and will really test your platforming skills. A single misstep can mean the end of you. Your health also depletes quite rapidly so you’ll want to keep an eye on your health bar at all times. You do get a few lives so you won’t go all the way back but these levels are quite difficult so you would be wise not to underestimate them. You obtain hearts by defeating enemies which you can trade for health potions or temporary attack upgrades. What holds the game back is the 4th level of these worlds. The mazes are quite frankly way too large. You’ll be lost with no end in sight here. It works like Metroid where if you don’t have a guide you will need to draw a map of your own. I can definitely acknowledge the time and dedication you would have had to spend to do such a thing back then. Games are really tricky back then…maybe too tricky. After all, this is more tedious than challenging after a point. You can easily waste hours going through this just as I used up a bunch of hours in Metroid. Some games just really haven’t aged well to be honest. Others have continued to excel though so that’s a good thing. Kid Icarus is kind of in the middle. It’s not bad, but this does prevent it from being truly good. The final level is a nice look at what the game could have been like though. It’s an aerial level where you blast away at enemies in a level where the camera is constantly scrolling. It takes a lot of skill to blast your way to the end but it also doesn’t feel tedious. The final boss is also quite inventive as you have to blast at the enemy while blocking her attacks. You can only pick one option at a time so you have to constantly time your attacks just right. Mess up and then it’s all over for you. Definitely not a final boss to be taken lightly either. This whole game is one that is more challenging than it may appear at first glance. As for the graphics, those are pretty good. The game uses the classic sprites as were the norm back then. The sprites do a good job of giving the characters clear designs. Then you’ve got the soundtrack which is pretty basic but effective. The main theme has certainly become iconic over the years. I can’t say that I really recall any of the other themes off the top of my head, but it’s pretty soothing and fits in with the levels. After all, this game is a pretty calm platformer in the sense that there is no timer. You can take as long as you need to in order to fully process the enemy movement patterns. Slow and steady will win the race here. A unique gimmick this game also has is the fact that a certain enemy can transform you into an eggplant. If you are hit with this curse then you need to try and find a healing station to cure you. Until that happens you can’t attack anymore which puts you in a very vulnerable spot. It can definitely be annoying when it hits you since that’s most likely it for that life, but it’s a fun little feature that’s just so random that it really works. Overall, Kid Icarus has its fun moments, but its downsides as well. You gotta take the game as a mixed package and likewise I gave it a pretty mixed review. Honestly there isn’t much reason to play it as this point though. If you want to experience the Pit adventures then just check out Uprising. It’s an improvement in literally every way and is a very satisfying experience. 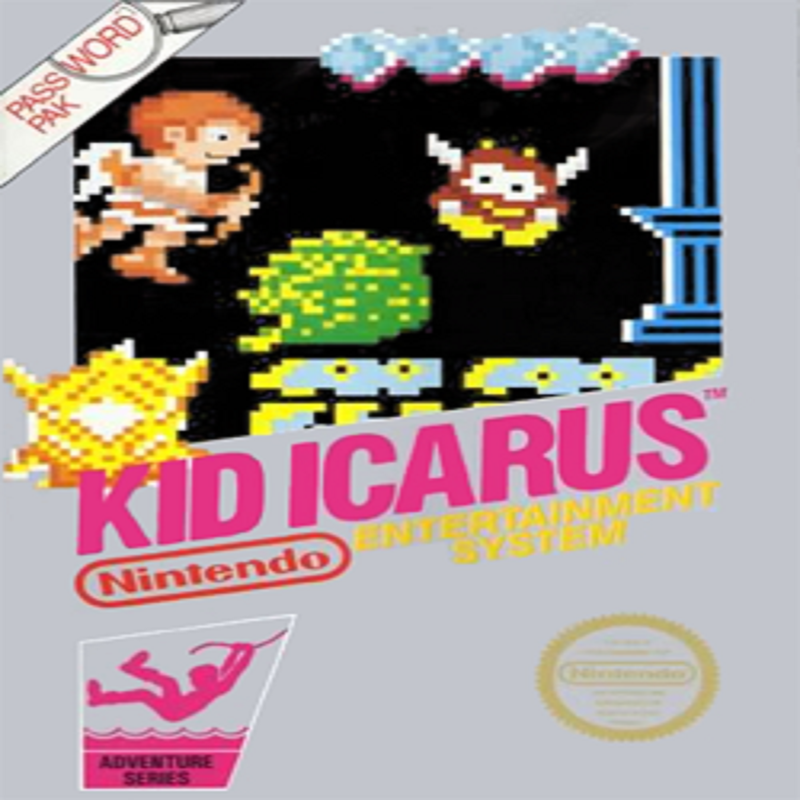 The original Kid Icarus is a good title to play for the novelty, but you won’t be missing out on much by skipping it. I’m sure it was fun for its time, but there are just better platformers to play nowadays like CupHead or something like that. Of course if you already have the online Nintendo Switch membership then you may as well check the game out since it’s free. It’s only a few hours long and you can use the save states as much as needed in order to secure your win. 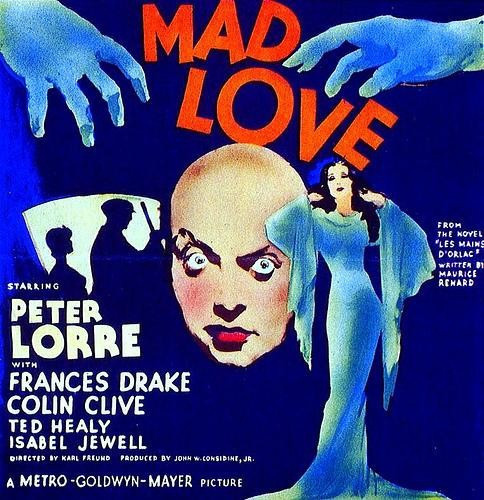 It’s time to look at an old horror film with Peter Lorre. You may wonder what this is doing here when I’ve mainly been reviewing Christmas films lately right? Well, basically I saw this film a while back for Halloween and then just never got around to reviewing it. The film’s pretty bad, but it’s also just rather boring so I kept putting it off. Well, this is currently the last review on the backlog so I can hardly afford to keep putting it off now right? Brace yourself! So the film starts with the ever famous Yvonne finishing another performance. An obsessed fan by the name of Gogol shows up to let her know that he has been watching all of her shows. 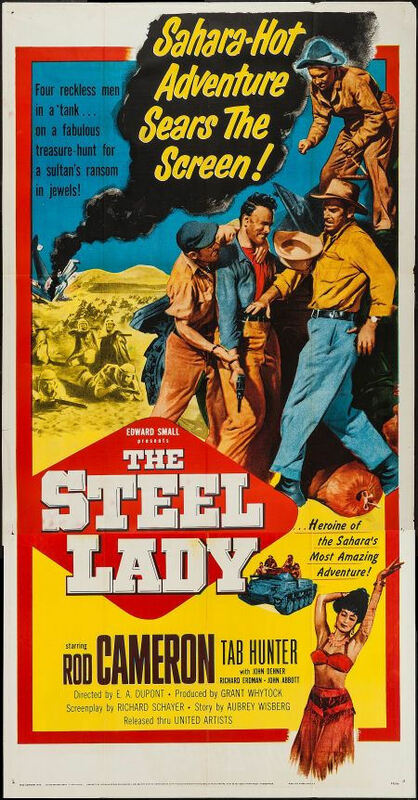 Yvonne quickly flees the country to reunite with Stephen, but the latter was in a train accident after being in the same car as a legendary knife throwing crook. Stephen can no longer play the piano as he once did. Yvonne feels bad for him so she goes to Gogol who is the utmost authority on this. He is able to stitch together the murderer’s hands on Stephen but pretends that he just sewed them back on. Stephen is as hard of sight as he is lacking in common sense so he doesn’t notice that his hands are different. Things start to get dicey for him though as the hands appear to have a life of their own. Meanwhile Gogol uses the distraction to try to get to Yvonne. Gogol’s only goal in this whole film is to get together with Yvonne. This does not make for a very compelling villain motivation. In fact, it isn’t interesting at all. He’s just a terrible villain and all of his scenes drag down the film. Yvonne also should have taken his advances more seriously and alerted the cops or Stephen. Gogol gets away with a whole lot as he stalks her during the film and even crashes her party to take advantage of some crazy games they were all playing. Stephen is around but too busy wallowing in self pity to be of any help. In his defense Yvonne should have mentioned something, but I won’t cut him too much slack because he’s just not a good character. He’s too quick to freak out and should try to master his hands rather than let them control him. In a way it almost makes you think Gogol was right to not tell him where the hands came from since Stephen would not have taken it well at all. At least the knife throwing does come in handy by the end of the film though. By that point the film is just about over so he cut it awful close. Meanwhile you just have to question how Gogol got his license to practice when he is so clearly insane. The guy isn’t even subtle and you have to feel bad for his patients. He gets distracted quite easily after all. Adding to the creep factor is the fact that he also bought a life sized statue of Yvonne to put in his room. His care taker even has to do her hair and everything. Ah yes, that brings me to the care taker and the local police guy. Both of these characters are very slow on the uptake and don’t contribute a whole lot. The care taker does a lot of grumbling and snitches on Gogol a lot, but doesn’t do it in a very safe way. She puts her head on the line so many times. Then we have the police guy who isn’t all that interested in doing much. His “sleuthing” if you can call it that basically revolves around chatting with the Gogol’s maid. When it comes time to check the room out he takes so long that the villain gets to return. I usually like the police/detective characters but this guy just wasn’t effective at all. Take him out of the movie and I don’t think a whole lot would change. It would effectively still be the same film and that’s an issue. 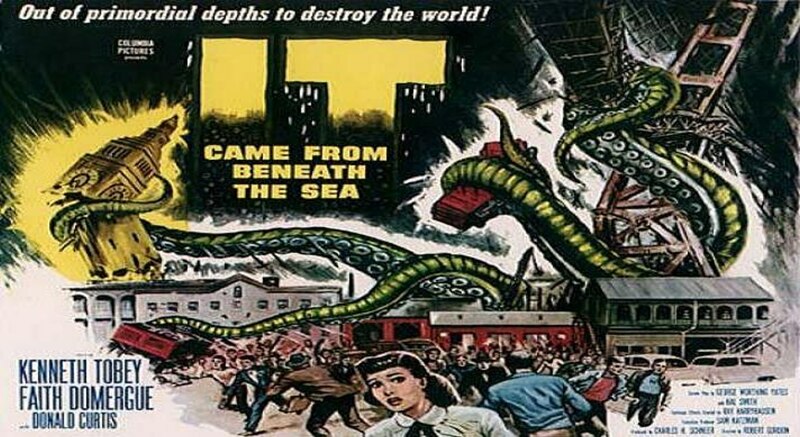 At least we can take solace in the fact that this film’s plot would be a little harder to do nowadays. Since Yvonne is a famous singer/performer I expect she would at least have some bodyguards so they would notice a stalker. Even if she does not, security should be a bit tighter at the events and someone should realize that this guy is always around. His only defense is that he’s a world class doctor and that wouldn’t hold much water next to a celebrity. Yeah, I’m sure this plot is still being done regardless, but it’ll be so contrived that maybe the film wouldn’t take itself seriously and it would still be better than this one…maybe. Also, Peter Lorre wouldn’t be in it and he’s probably one of the worst actors I’ve seen so that’s already a plus. Overall, Mad Love isn’t a good film. The title is pretty much a tip off to that. Films about villains who eagerly want the main heroine to appreciate them are often doomed to fail. This one sided romance breaks the villain instantly. You just can’t take him/her seriously after that. Then you also get mad at the main character(s) for not calling in backup right away. They wait until it is too dangerous or too late to call for help before thinking of it. The film’s fairly short, but even so I would recommend giving this one a pass. There just isn’t much to be salvaged or learned from this film. If you want a good thriller, watch something with a little more pop like the Yugioh films. This movie is best left forgotten. 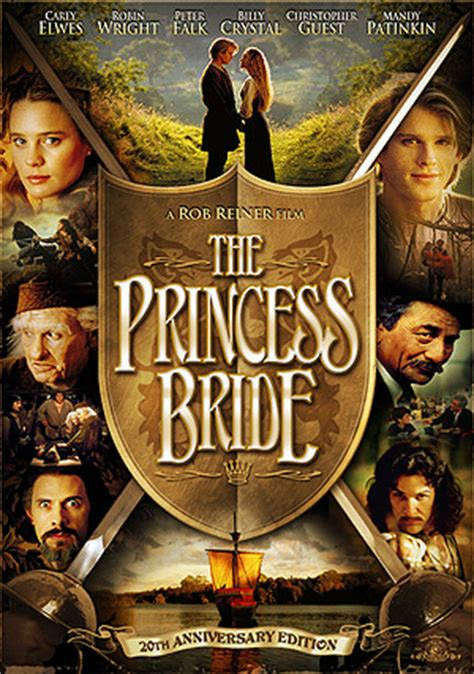 The Princess Bride is definitely a classic film that I’m sure you have probably bumped into at least once or twice in the past. Still, I had never actually seen it until now so better late than never right? It’s definitely an interesting fantasy adventure even if the whole thing is just a story so it’s all fake from the get go. I’m cool with that kind of premise except for the fact that the kid can be annoying, but more on that later. The film starts off with a grumpy kid getting sick again. He’s upset because his Grandpa is coming over to check on him and this kid is as ungrateful as they get. Well, the Grandpa decides to tell him a little story and the kid slowly finds himself getting sucked into the hype of this adventure. Never in his wildest dreams could he imagine that such a story would be so gripping. It’s about a girl whose fiancee was captured by pirates and murdered so now she’s going to marry a random prince because she has given up on life. Well, her fiancee has returned and they decide to escape from the Prince. They’ll have to get through a dangerous forest and 3 powerful fighters, but nothing can shatter their bond! Can they get a happily ever after? This is definitely a very classic kind of adventure as the heroes talk like in the olden days. It may have one of the earlier instances of the villain string where you have to fight one opponent, then you go to the next room and fight villain #2, etc. Westley has to defeat each of them at their particular strengths so he has to be very quick, strong, and smart. As this was basically Westley’s introduction in the film I have to say that it was quite impressive. He really showed himself to be a very capable main character. I was not expecting him to be quite so tough. It’s almost sad when he takes off his mask as he loses most of his mystique and hype. He ends up just becoming another one of the guys, but after such a strong start he was already guaranteed to be the best character in the film. I also think Westley had a point in regard to how easily Buttercup moved on from him. Sure, she didn’t like the Prince but she didn’t care enough to refuse him either since she had given up on life by then. She should have stayed strong and waited for Westley no matter how long it took. Of course he was presumed dead, but then you don’t go for a rebound and just stay alone. As it stands Buttercup just didn’t look all that great throughout this and was even kidnapped. It definitely wasn’t her day. At first you think that the Prince may actually be heroic as he puts up a good front. If you were not aware of story telling 101 he could even potentially fool you. Still, he was ultimately destined to be evil and is essentially the main antagonist here. He’s certainly not my kind of villain as those with romantic motives never tend to rank. Still, I suppose he’s reasonable. I do think the Prince gets off way too easy by the end though. I mean, depending on how you look at it there are absolutely 0 repercussions for him as the film closes. Now lets look at the trio of danger. Fezzik is the strong but not very smart member of the group. He’s one of those villains who doesn’t think much so it’s easy for him to join the heroes or villains depending on who his boss is. He’s definitely the least likable of the 3 though. He’s not bad, but just not very interesting. Meanwhile Montoya was a lot of fun. He’s a very quick fighter whose goal is to avenge his father someday. He’s trained all his life to accomplish this goal so it’s almost tragic that Westley is still a better fighter than he is. What makes Montoya a good villain is the fact that he has an honor code and actually seems like a reasonable guy. His motives are also quite sound. Finally we have the leader, Vizzini. Now this guy is definitely really sharp. The scene where he insults a bunch of philosophers and explains why he is smarter than them is quite good. It’s at that exact moment where you realize that this guy is the real deal. He’s not going to back down to any fighter and has the wits to stay on top no matter what the situation is. His mind battle with Westley is exceptional and I wouldn’t have minded having him appear more. His brief role made the moment all the more powerful though. Speaking of great scenes, I also greatly enjoyed the fight with Montoya and Westley. There was a lot of back and forth in that fight with both fighters being able to use their full skills. Each one starting with their weaker hand also worked as good twists to keep the fight going. It’s a lot better than I would have expected from such an old adventure film. It holds up extremely well and moments like these are what helps the film be so solid. It really is a very solid adventure film. Really, the only downside to the film is the annoying kid in the present. He’s constantly interrupting and just being a terrible character all around. His character hasn’t aged well and if I was the Grandpa I would have left by the second interruption. The kid was constantly bashing the book and only got back on board once the romance played more of a focus. He kept pulling the whole “It’s not like I like the romance or anything” bit but certainly wasn’t believable about it. Of course having the film be in story mode is part of the point, but cutting that bit out would have worked well. Of course, it works as the film’s automatic censor to the more violent moments though. I was not expecting the prince to get tortured the way that he was. That was surprisingly dark and some blood is spilled during Montoya’s final confrontation. Still, the story stays within all family friendly territory I’d say. It never feels particularly excessive and will only scare kids like the one in this film. Overall, The Princess Bride is a pretty fun film. I do think that the first half ultimately ends up being a little more interesting and fast paced than the climax though. Perhaps that’s because the second half is a little more generic while the first half does a lot of fun stuff like giving us back to back battles and keeping the lead mysterious. The second half is still quite solid but naturally as a result it’s just slightly less impressive than the film’s quick start. If you haven’t seen this film yet then I’d definitely recommend checking it out. The writing is on point and the film’s pacing is solid. 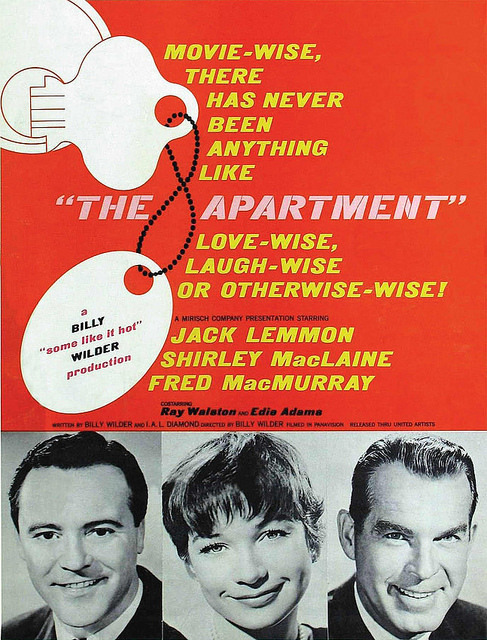 The Apartment is one of those films where it’s hard to guess the plot from the title. It could really go in just about any direction. Well, this one plays out as a retro comedy with the main character getting pushed around by everyone. It reminds you why apartments are so handy and why they can ultimately backfire at times as well. It’s a film that has aged pretty well even if the main characters probably will get on your nerves the more the film goes on. The film starts off with Bud going another light with low sleep. At first you may sympathize with him but then you realize that the lead has a side gig of questionable ethics going. He loans his apartment out to his co-workers so they can use it for parties. Not particularly smart of him and the characters quickly take advantage of his offer. They stay later then they are supposed to and put him in a bad spot. Still, Bud does get the promotion so it’s all good. The problem now is the fact that he likes the employee who is already with his boss. How can he get her to change her mind? This is one of those romance films where the characters are going to flip flop quite a lot. Let’s take Fran who is the main heroine here. She is with Sheldrake initially but then she leaves him since the guy is already married and seems to be using her. That’s fine, but then she entertains his offer of returning to being together again even though he’s still married. Bud also asks her out and she accepts but that already means that he is simply the rebound guy. She plays the field for a while and along the way attempts to destroy herself while still not falling away from Sheldrake. When the expected ending finally arrives it doesn’t feel very sincere. I have to say that the romance in general gets a thumbs down. It’s just not all that engaging and holds the rest of the film back a bit. I also can’t say that I was a big fan of Fran. She was reasonable for a while with her reputation of being a solo act, but then the twists start coming and her character is ruined. It’s fine that she found someone, but choosing someone who is married does not help her case. Even if he was sincere she is getting him to cheat on his wife. It’s a lose-lose situation all around. Of course you can’t really like Sheldrake as the guy is pretty manipulative. He’s a fun villain for sure as he pushes Bud around, but he’s not a particularly nice guy. He’s one of those “allies” who has your back while it’s convenient for him and then he’ll ditch you at the next corner. All 4 of the bosses were like that once Bud stopped giving them extra favors. Bud certainly should have known what would happen though as they were only his friends because of the apartment. As for Bud himself, he’s entertaining like the rest of the cast. That doesn’t make him particularly likable though. He shouldn’t let the group push him around the whole time. Starting the apartment deal was fine and all but without proper time boundaries it will just cave in on itself. Sure enough, he just kept on digging himself in deeper and deeper holes. Bud could be slow on the uptake as well. He’s a nice guy through it all of course, but he needs to be a little more prepared than how he was in this film. This also sums up the movie pretty well. While I can’t say that I really liked any of the characters, the film was still a lot of fun. It’s the kind of movie where the characters don’t have to be that good. Comedies can still be enjoyable because the jokes aren’t necessarily ties to the character’s status. A bad character can still have good comedic traits. I’d say that the writers did a very good job with this movie. Nobody feels exaggerated or super unrealistic. To an extent what happens in this film could easily happen in real life. Just take out a few of the dramatic elements and you’re all set. The cast is pretty small, but we have a few supporting characters like the doctor next door who really came in handy during the climax. Without him it’s safe to say that the heroes wouldn’t have done very well. The slapping could definitely seem pretty crazy but it’s in a lot of these old films so I guess people used to think that it really worked. Pain is certainly a strong stimulus to I suppose to prevent someone from fainting it seems to make sense…even if it was a little excessive. One trend that I’ve noticed with romance films as well as comedy ones is that they tend to have a better first half than the rest of the film. It’s because for the climax the film inevitably has to get a little serious. The degree to which this is notable will vary of course and some films like Airplane manage to almost completely sidestep this. This film is no exception as it starts to become a little more serious by the end. Not a bad thing per say, but with unlikable characters and no humor then you don’t have the best combo. Bud didn’t seem to handle most of the situations in the climax well as all and I’d say the same for Fran. These characters don’t think their options through enough so by the end both characters are basically settling for each other. Bud was totally ready to get together with someone else before Fran showed up in the second half. I think that says all that you need to know about how serious they were. Overall, The Apartment is a lot of fun. Prepare yourself for a comedy-romance film where the only way for Bud to rise up the ranks is to give out favors to his superiors. The realism of this will really hit you hard and the film’s humorous ways of showing this are solid. While the romance may not have been very inspired it’s not as if it would make this a bad movie. It’s a good movie that falters a bit during the second half but ends up being one that I would recommend regardless. Especially if you consider this to be a romance film it is one of the few titles that I would recommend presently. It’s time to look at an old horror film by the name of strait jacket and like the Tingler it is ready with a few twists and turn in the plot. It’s always good when a film throws in a few misdirects to keep you busy as long as they make sense and have some kind of purpose. I do think this film pulled off the twist but it still couldn’t save itself from falling into a few holes. The basic plot is that Lucy was away from home on a business trip. During her absence the husband decided to cheat on her with someone else. What he didn’t realize was that Lucy had caught the early train back home so she arrived in time to see this. The guy didn’t notice her arrival until it was too late and she managed to destroy both of them. She was sent away for 30 years but now she is back and hoping to live a normal life once more. Her daughter, Carol, wants everything to go back to how they once were, but is that even possible? There are a bunch of other characters wandering around and are ready to muddle the plot as well. This includes the fiance to the daughter who just so happens to be rich and his parents. They don’t want the main two to get married and are ready to stop this relationship in its tracks. Then you’ve got the nice maid who helps out around the house and a mean Gardner who makes it clear that he doesn’t take orders from anyone. People start to get axed just like how the mother got rid of the competition. Has Lucy descended into madness or is someone setting her up? Now, how well the twist works may depend on how you feel about the mother’s opening scene. After all, she was betrayed and so she fought back. The context is a whole lot different than most other murderers in these kinds of films. She was never actually crazy and just wasn’t gonna let the guy get away with it. It will probably feel very far fetched to see her going back to getting anyone else. Of course, as a horror film that is always a possibility. Meanwhile you will be suspecting someone from the main cast. I’d say that there are only 3 reasonable suspects among them but I’ll stop there. Unfortunately the film does make the big mistake of throwing in animal violence. See, the main character’s own a farm and they believe in caging their chickens. Naturally we also have to see them chop one and the whole thing is pretty bad. Cutting out that scene/pointless subplot would have really gone a long way. I suppose that all of this does help to tip you off to the fact that something definitely isn’t right here. The final action scene is definitely pretty intense though as the villain has a cool design. The whole thing is basically perfect even if it’s a little plot convenient. Getting into the house is way too easy for all parties involved. I get that this was back in the old days where everyone was a friend, but just leaving your door open throughout the night is asking for trouble. In particular you will feel bad for the father who just wanted to drink his milk. Sure, the guy probably should have gotten a little more involved with the marriage situation but at least he wasn’t actively opposed to it. He should have been less of a target than the wife. Of course, if you’re planning on bumping them both off then I suppose it makes sense to take him out first. We’ve also got the corrupt butcher guy who was hired on for some reason. I never get why the main characters hire some super shady guy and then put up with how he acts throughout. They are the ones with the power here, just fire the guy and be done with it. Instead he throws around some threats and the main characters basically just have to shake in their boots. The fiance character wasn’t much better honestly. That’s because he is treated like a normal main character and yet he comes very close to cheating on Carol which is what Lucy was afraid of. The guy has no self control at all. While the film does perform some of the plot twists pretty well, there are also some obnoxious red herrings that don’t need to be here. The first of which is certainly the scene with Lucy trying to act younger. The music takes her over and suddenly she becomes a huge flirt who can’t control herself. That’s a very big 180. Couldn’t she have dressed younger while staying mature? It defeats the whole purpose of getting a second chance at youth if you also lose the knowledge of being older along with it. This plot never really plays into the film in a realistic way. At times she just acts a little too crazy…so maybe Lucy always was insane. Then we have the psych guy show up to basically tell Lucy that she’s crazy and has got to go. He’s not the smartest guy for a plethora of reasons. One of which is that he should have his guard up since he is dealing with someone who has murdered in the past. Even if the rehabilitation is complete you’d think that he would at least be prepared for anything right? Well, that’s not the case here and it certainly ended up coming back to haunt him. Then we’ve got the brother Bill who doesn’t really get much of a role here. He’s mostly just around as a sound board for the other characters. 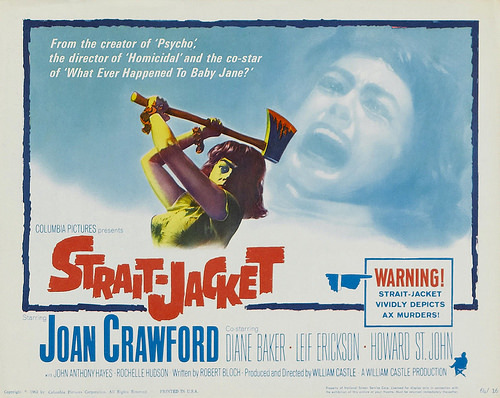 Overall, Strait Jacket is a pretty interesting thriller. It makes it share of mistakes so I won’t call it a good film, but I will say that it does put in an effort. The film at least goes through the motions of forcing you to think a little. I also did like the ending with how happy it got all of a sudden compared to the sad scene that had just played. It’s time to try to make things all right again and it’s good that the character isn’t going to take the situation too hard. Who knows, with a few years of patience and talking maybe they’ll all get their happily ever after. In the mean time I would recommend getting some tickets for the Broly film coming out this year (In Japan) if you want a spooky, but epic film. That one’s going to be intense! It’s time to look at a really old Werewolf film. This one changes things up a bit from the usual formula, but I can’t say that it ever gets to the point where you start to think of it as an amazing title. It’s just hard for Werewolves to be particularly impressive. With the main character being rather sketchy as well things got tough for this flick, but I will say that it still did manage to be better than expected. After all, we have a good actor for the Werewolf and he seemed to be having a good time here so that was good. The film has an intriguing lore. Essentially there is a tribe of Werewolves. Nobody knows about them and they want to keep it that way. Unfortunately word starts to get out and the bodies begin to pile up. Our main character may not be the brightest one out there, but he starts to figure out that something is wrong. The Werewolves decide to silence him as a result. That will be the only way that they can ensure nobody visits them. Of course, it’ll be tough since the main character’s best fiancee is also related to the tribe which is a security risk. How can the leader of the tribe hope to stop this main character? Well, the main character is pretty bad so that part isn’t really much of a challenge. It’s hard to explain just how bad this guy is, but there’s one scene in particular that makes it easy. So, he’s pretty sure that this group is the one who murdered his father. (side note, the father didn’t look very good the whole time either. A mysterious idol appears in his house one day and he doesn’t question it. It’s a doll that is meant to be interpreted as a threat but the doctor/professor doesn’t take it seriously. He probably should have) He heads to the morgue to search for clues and that’s when the leader appears to try and talk him over. She uses her charm to get him to her apartment where he is immediately defeated and distracted long enough for her to put an actual charm on him. He eventually gets over it, but considering that he is prepping for a wedding you would think that the guy would be a little more prepared right? Well, that was apparently not good enough for him and he was so close to wrecking his chances with the fiancee. Then the heroine isn’t great either. She may have the Dracula accent, but she doesn’t actually use it to try and fight against the villains. On the contrary, instead she is content to stay on the sidelines and faints when the leader even talks to her. She simply can’t fight back at all and it’s always annoying to see that happen to the heroes. Why should she be any weaker than the leader? Those mental energy bolts shouldn’t affect her quite so strongly. She spends enough time fainting and almost murdering the main character where it’s just hard to take her seriously. If you want a good character then look no further than the chief of police. That guy may have had the wrong man for most of the film, but it wasn’t for a lack of trying. This guy was actually taking his job seriously and can you really fault him for doubting that it was some kind of supernatural culprit? It technically makes sense that this would not be the case. He also did come around by the end and didn’t deny the evidence right in front of him so that was good. He may have been rather late to the game, but better late than never right? 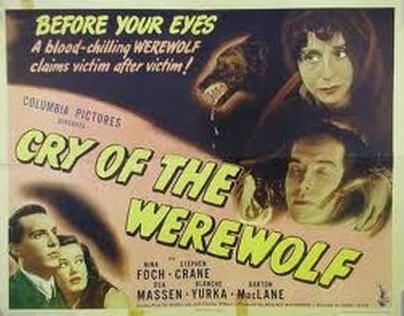 Overall, The Cry of the Werewolf isn’t the best film out there, but it was rather entertaining. I liked the Cops here and while the main duo were pretty bad, they could also be unintentionally funny. I do think that the film was a little all over the place though. The whole tribe of Werewolves thing was a little odd. Why didn’t the followers try to help out as well? Whether they worshiped the leader as a werewolf or feared her, they should have stepped in. The heroes wouldn’t have stood a chance since they were so outnumbered and the tribe would get off scot free since nobody would believe that they were Werewolves. This film will leave you with some questions for sure. Whether they are big enough for it to matter to you is another story. At the end of the day, I guess the film at least did a reasonable job of trying its best to find a different way of telling the classic Werewolf story. So I got to play another PS1 game. This one is a bike title that plays like a skateboarding one and I actually haven’t played a lot of those. I’m pretty good with the Basketball and Football ones but then some of the other sports like soccer and golf get tricky. After playing this one I can definitely say that skateboarding is likely not my forte. 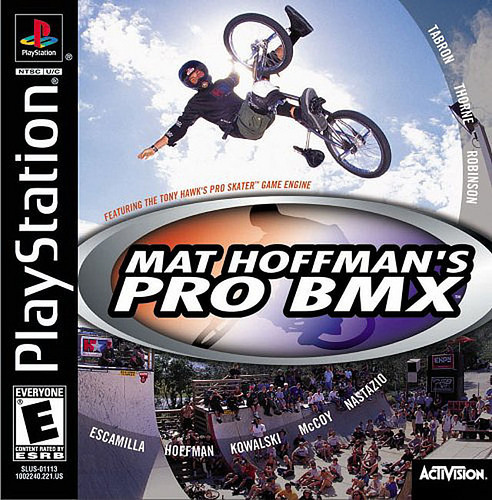 (Yes, this game doesn’t feel like a bike one so I may as well call it a skateboarding title) It’s a pretty interesting game though and I’m sure fans of the sport would have fun with it. At the end of the day it just wasn’t my cup of tea though. The main mode is about getting covers. A cover is essentially an achievement and there are 5 per level. If you get enough covers then you can move on. The challenges are tasks like “Break the lights”, “Get a High Score”, “Grab the letters”, etc. I was able to get a pair of covers in the first level after quite a bit of effort but in the second one I only got 1. Either way I wasn’t particularly close though as I still needed 4 more to unlock the third level. It’s definitely a game that’s harder than it looks. Again, this will probably be easier for people who are used to skateboarding games though. I even have a hard time landing with the car in Fortnite without taking damage. The controls themselves sound basic on paper here as you just move, jump, and perform aerial tricks. However it still manages to be tricky since if you go for a trick that is too ambitious you will likely wipe out and lose a lot of previous time. Mastering the tricks will likely take time. Also, the game just feels very isolated and empty. At least in the first two levels as you are all alone in an abandoned factory and then an outdoor building. Nobody is around so it’s just your character driving around and breaking things. Are we actually playing as the villain here or is he just a bit of a rebel. It’d be nice to see some other boarders or something. That’s not to take away from the graphics though. A good amount of effort was put into this one. It could possibly pass for a PS2 game. In particular I enjoyed the second level’s design. It almost looked a little sci-fi with how isolated and glowy it was. It would be nice if there was more to it for this title though. Freestyle racing through a big city would be a lot of fun. There would probably be quite a few routes and shortcuts in such a level. Performing tricks just doesn’t have the same kind of appeal after a while. There are only so many tricks that you can perform after all. As such, I would say that the replay value here isn’t particularly high. It’s not a game that I can see myself going back to and there are probably better alternatives within the genre. It just hasn’t aged particularly well and there’s nothing that this game has over the others. Those games have the wow factor while this one does not. Overall, This is a game where I will give it a thumbs up. I won’t say that it’s a bad game and it holds onto the middle spot. It just doesn’t have enough of an impact to really make a name for itself. I’ve already forgotten its name twice during the course of this review as it is. I think the idea of an open world skateboarding game could be cool even if that doesn’t perfectly describe what this game even is. It gives you glimpses of what that could look like, you just need to get rid of the timer. With the timer being as short as it is you don’t have any time to have fun getting the covers. A single mistake means that you will likely have to start the level again from scratch and who really wants to do that. So, instead of recommending this game I’d say that you should probably just play F-Zero instead or something like that.